Keywords: carrageenan, apoptosis, caspase-3, rat. Background. Because of its physical and chemical properties, carrageenan is fairly widely used. About 70 % of the carrageenan produced in the world is used in the food industry. Previous studies point to the development of oxidative stress in rats, by means of which carrageenan chronic enterocolitis was modeled. Objective. The aim of our study was to investigate the level of apoptosis and necrosis in the suspension of leukocytes in rats using 0.5 % and 1.0 % solutions of carrageenan. Methods. Annexin V (V) binding assays were performed using Annexin V Apoptosis Kit (Sigma Aldrich, USA), caspase rate in leukocyte-lymphocyte blood fractions was determined by spectrofotometry. Results. It was established that in the experimental application of carrageenan, the percentage of leukocytes with signs of apoptosis in both experimental groups statistically significantly increased. It was detected by the increased activity of effector caspase-3 in 1 month after the experiment in 1.5 times in the 2nd group and in 2.8 times in the 3rd group vs control data that point to caspase-dependent apoptotic pathway in case of carrageenan usage in rats. Conclusions. Oral use of carrageenan in rats was accompanied by the increase in the number of leukocytes with signs of apoptosis. The animals that consumed 1.0 % solution of carrageenan had more obvious increase in the activity of caspase-3 in serum relative to a group of rats consuming 0.5 % of carrageenan, proving the increase in the severity of apoptotic processes in intestine with the increase of the dose of carrageenan. Nechaev AP, Kochetkova AA, Zaytsev AN. Nutritional supplements. M.: Kolosm; 2001. [In Russian]. Flavoring substances and natural sources of flavourings. Strasbourg; 1992. Smoliar VI. Problems of using nutritional supplements in Ukraine. Abstracts of the International Scientific and Technical Conference / NUKHT. K.: Nauka; 1998. [In Ukrainian]. Buldakov AS. Nutritional supplements. M.: DeLiPrint, 2001. [In Russian]. Nechaev AP, Traubenberg SE, Kochetkova AA. Food Chemistry. Spb. : GIORD, 2003. [In Russian]. Osmanyan RG. Prospects of using carrageenans in confectionery production (for the production of jelly sweets with functional properties. Food and processing industry. Abstract Journal. 2008;2:432. Lisnianska NV, Маrushchak MI, Antony­­shyn IV, Mialiuk OP. Chronic enterocolitis combined with streptozotocin-induced diabetes in rats: mechanism of oxidative stress development. 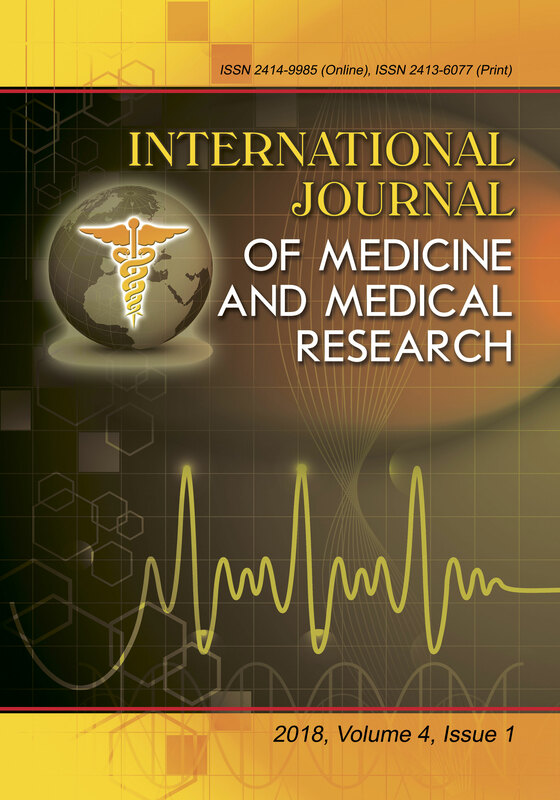 International Journal of Medicine and Medical Research. 2017; 3(2):59-63. https://doi.org/10.11603/ijmmr.2413-6077.2017.2.8035. [In Ukrainian]. Tkachenko AS, Gopkalov VG, Martyinova SN. The method of correction of chronic carrageenan-induced gastroenterocolitis with antioxidant vitamins. Bulletin of Biology and Medicine. 2015; 3(1):315-7. [In Ukrainian]. Gubina-Vakulyk GI, Kolousova NG, Ivanen­ko ТО, Gorbach TV, Korobchanskyy VO. Method of modeling chronic gastroenterocolitis. Patent of Ukraine. № a201014510, 2012. [In Ukrainian]. Moyana TN, Lalonde JM. Carrageenan-induced intestinal injury in the rat – a model for inflammatory bowel disease. Ann Clin Lab Sci. 1990; 20(6):420-6. Hug H, Los M, Hirt W, Debatin K-M. Rhodamine 110-linked amino acids and peptides as substrates to measure caspase activity upon apoptosis induction in intact cells. Biochemistry. 1999; 38:13906-11. Illinska IF. Apoptosis, apocytosis and their role in the immune response (analytical review). Lab diahnostyka. 2002;3:66-72. [In Russian]. McIlwain DR, Berger T, Mak TW. Caspase functions in cell death and disease. Cold Spring Harb Perspect Biol. 2013;5:a008656. Hridneva SV. The role of nitric oxide and lipoperoxidation processes in the development of chronic non-ulcerative colitis. Modern Gastro­enterology. 2003;2:43-6. [In Russian]. Tkachenko AS, Nakonechna OA, Zhukov VI, Gorbach TV, Tkachenko MO. Proteolytic degradation of poly (adp-ribose) polymerase in rats with carrageenan-induced gastroenterocolitis. Journal of V. N. Karazin’ KhNU. Series ’Medicine’. 2017;34:41-46. [In Ukrainian].